After a hot-and-cold season with Overwatch League team the LA Valiant, DPS player Brady “Agilities” Girardi found himself in a rainy In-N-Out burger parking lot with team CEO Noah Whinston. And a camera person. The resulting official “Inside LA Valiant” video segment, in which Whinston informed Agilities that he had one last shot at making the team’s starting roster, gave off strong reality TV vibes. Soft, melancholy piano music crept into the scene as Whinston told Agilities that this was not just a big shot at dodging the bench but “the shot,” implying that there would probably not be another. The video, released last month, went on to receive criticism from Overwatch League fans, who accused the team of milking a player’s real issues for cheap drama. 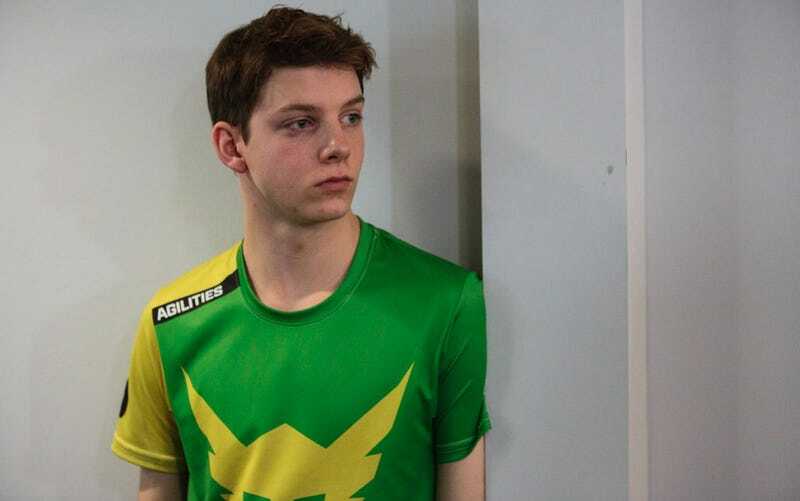 Agilities was on the verge of getting benched indefinitely due to performance issues on stage and team chemistry issues behind-the-scenes, and his team opted to broadcast a moment that, in most other sports, probably would’ve remained private. Fans have since voiced concern that LA Valiant’s ongoing video series oversteps its bounds, putting undue pressure on players in the process—a concern bolstered by a portion of OWL’s leaked code of conduct that grants the league the right to turn players’ lives into a reality show. Meanwhile, fellow OWL team Philadelphia Fusion made its own video mocking LA Valiant’s. Now the whole thing has achieved meme status, with fans snidely referencing In-N-Out when Agilities’ name comes up. Despite it all, Agilities is still on Valiant’s main squad, and he and his teammates managed to trounce an admittedly shaky Seoul Dynasty in their first game of OWL stage three this week. After that match, Agilities told me in an interview at the Blizzard Arena that he had some misgivings about how his lowest moment went down, but he can’t complain about where he ended up. Ultimately, LA Valiant opted to trade players Benjamin “Unkoe” Chevasson, Ted “Silkthread” Wang, and Kang-jae “Envy” Lee before the start of stage three. Agilities believes the team’s general vibe feels “really good now,” and he thinks the proof is in their performance. As for the memes, well, things could be worse.